Dynamic, musically ambitious & bracingly eccentric, with his inimitable style and lush musicality. Hailing from Belfast with a sound that is self-confessed “hobo-chic”, Duke Special – AKA the endlessly inventive Peter Wilson – is once heard, never forgotten. Many people are aware of Duke Special’s platinum album ‘Songs From The Deep Forest’, and the hit song ‘Freewheel’, but many may be surprised by the cultural breadth of his other work. His creative talents have seen him involved in projects as diverse as writing the theme tune for the Irish Sesame Street to writing the music for and appearing in Deborah Warner’s critically acclaimed production of Bertolt Brecht’s ‘Mother Courage and Her Children’ at London’s National Theatre. Recently he joined forces with stand-up comedian Andrew Doyle and together they brought a brand new musical adaptation of ‘Gulliver’s Travels’ to the Lyric Theatre in his native Belfast, a production created by the team behind the West End smash hit Once the Musical! In 2016 he was appointed as the Artist In Residence at the Lyric Theatre and as part of this residency, he worked on writing a musical adaptation of Huckleberry Finn, based on songs written by Kurt Weill, which premiered in 2018. 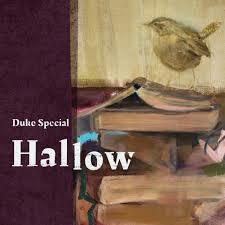 Duke has recently released his new album Hallow, a collection of songs based on poems by Belfast contemporary poet Michael Longley.